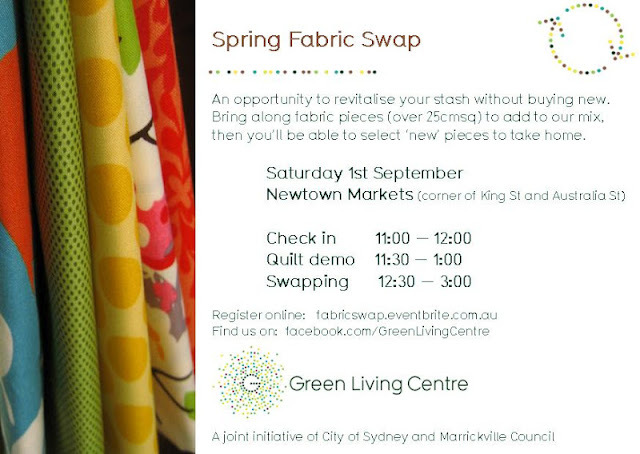 Not sure if your 'fabric' is Swappable? It should be clean, relatively whole, over 25cmsq and preferably seam free - think fabric, remnants, curtains and blankets, think 'what could it be used for' and 'what would I want to receive'. 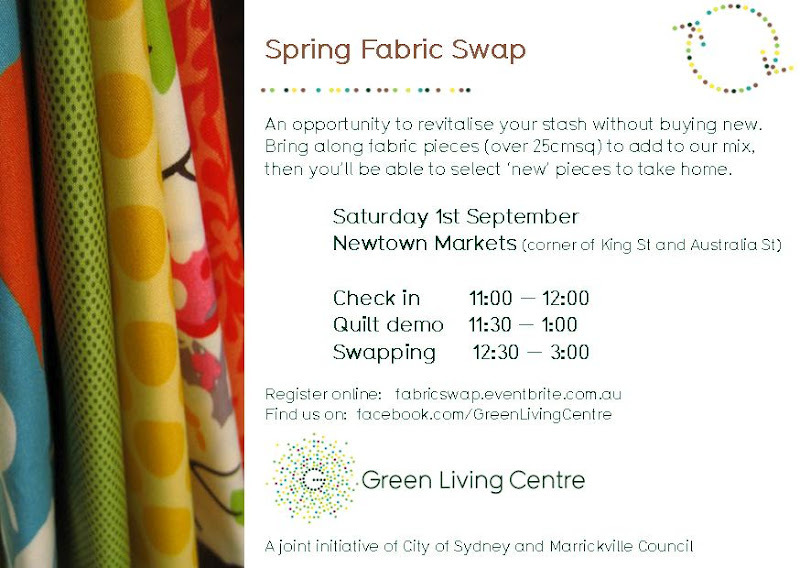 Ask if you're unsure then Register for the big Swap!